This was the first time I heard about and made some chocolate spoon cake. 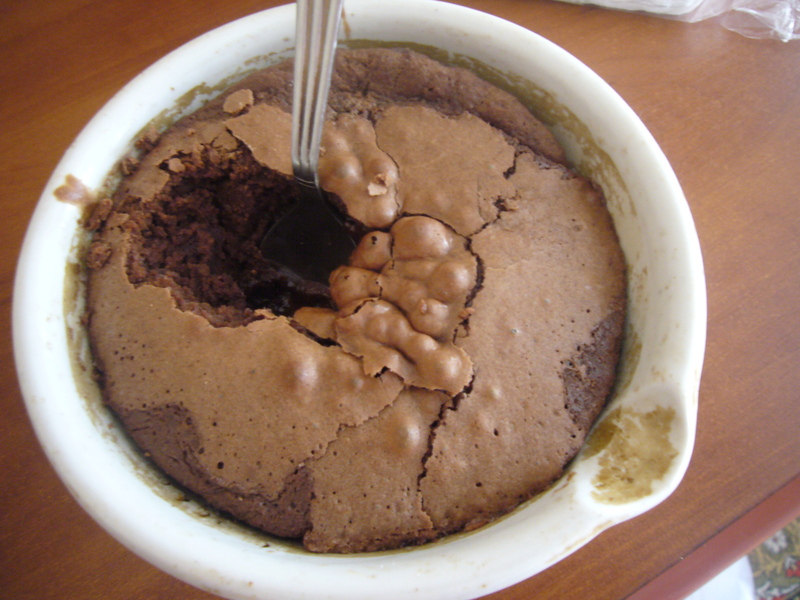 Here is where I founds it recipe: http://www.chefdehome.com/Recipes/80/Chocolate%20Spoon%20Cake. I do not have special forms for baking it. So, I made one largerchocolate spoon cake in a ceramicmortar. It worked quite well for this type of cake, as the mortar is thick, which prevents the spoon cake from being burnt. My chocolate spoon cake turn out alright. It is delicious, sweet, but unfortunately pretty high in calories. This entry was posted in Easy Recipes and tagged busy moms, cake, chocolate, chocolate spoon cake, cookies, cooking, cooking tips, easy cooking, easy recipe, food, spoon cake, spoon cake recipe. Bookmark the permalink. Like what exactly would you like to know? issue. Really.. thank you for starting this up. This website is something that is needed on the internet, someone with some originality!